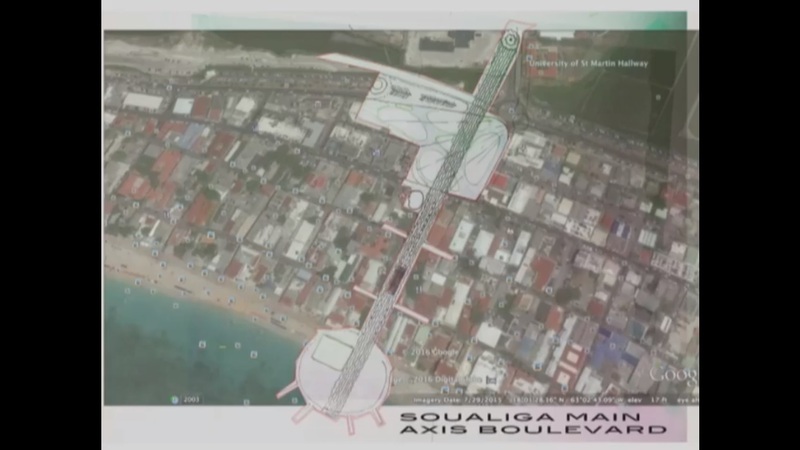 PHILIPSBURG — Faction Leader in Parliament for the St. Maarten Christian Party SMCP and Member of Parliament Claude “Chacho” Peterson has sought to explain his “sarcastic” comments during last Friday’s meeting of the Ad Hoc Committee for a New Parliament building during which he suggested that “if Mr. Marlin supported this project”, he would have his support to invite the Prime Minister and Steering Committee member to come to Parliament to discuss the World Bank financing the extremely expensive concept of a Parliament Plaza from the US$550 million Trust Fund. 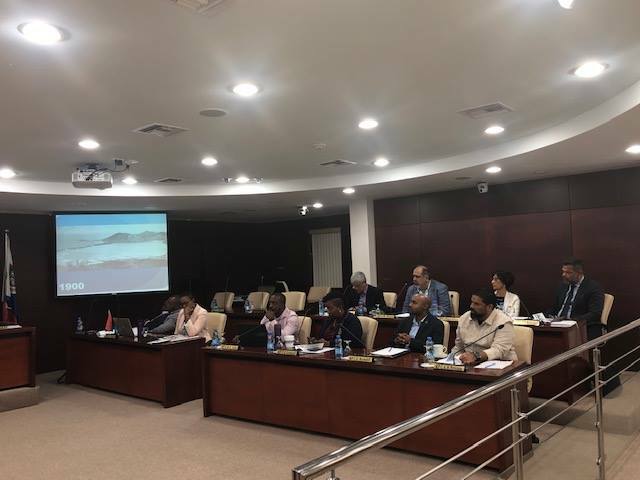 MP Peterson said: ”Unfortunately, my sarcasm did not resonate with those who saw my intervention in Friday’s meeting of the Ad Hoc Committee for the New Parliament Building. This was the first meeting of this committee since the new parliamentary year started and the first I ever attended. I came to the meeting expecting to get a presentation on a potential design of the New Parliament building and was very surprised to realize it was a presentation on a futuristic, very elaborate and very costly concept idea for the entire land between the post office, the old Government building and the Clem Labega square. MP Peterson’s sarcastic comments were more a reaction to the comments made by MP Marlin who elaborated on how this high priced project could be financed. MP Peterson issued a statement on Sunday clarifying the misunderstandings that his comments caused and said he clearly understands why it was not well received. One of the main factors SMCP’s leadership took into consideration when deciding to join the United Democrats was the fact that they had decided to accept the Trust Fund money in order to start the rebuilding of St. Maarten and to assist the people. 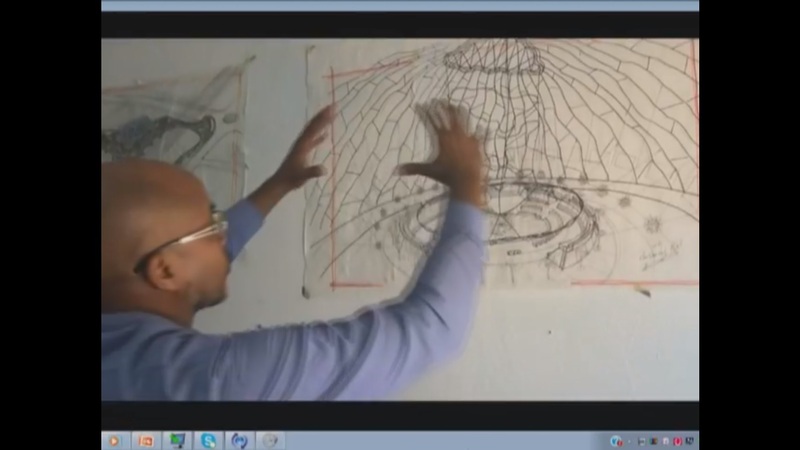 He is very aware that the Trust Fund money is particularly designated for projects which have to do with reconstruction and resilience post Irma as well as social projects to assist the unemployed persons in the tourism sector, and the employee training program currently being executed at the National Institute for Professional Advancement (NIPA) since Irma. 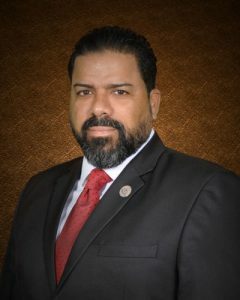 MP Peterson, known for being outspoken as a social activist against nepotism and corruption, is presently the Parliamentarian on St. Maarten who gives 15% of his salary to various charities on the island each month since taking office in July 2018. The 15% of the gross salary amounts to Naf.2916.00. This is in line with the pledge taken by all SMCP candidates during last election and was also carried out by now Minister Wycliffe Smith when he was an MP. MP Peterson has expressed his apologies to the people for any confusion his comments may have caused. He hopes that the clarification of his “sarcastic”comments and the clarification of his opinion regarding the high priced concept presented on Friday will convince the public of his unwavering determination to see the reconstruction of St. Maarten done in a sustainable manner and the return of the people to work in a new vibrant economy. In the process to achieve this he fully expects to encounter many challenges uncovered by Hurricane Irma. 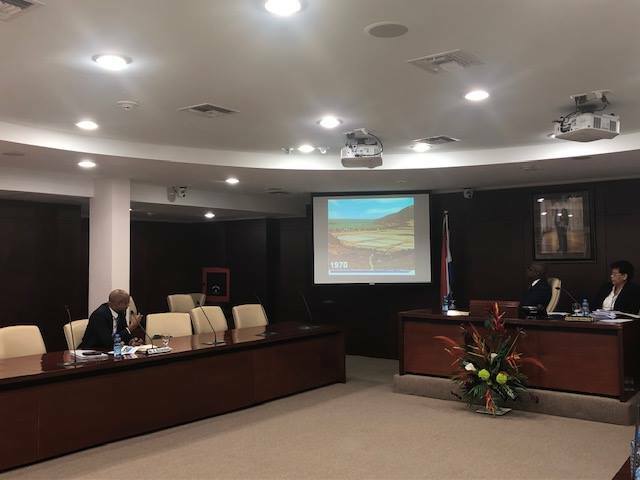 His commitment remains to see the execution of the Governing Program of the St. Maarten United Christian Democratic Coalition entitled: “Building a Sustainable Sint Maarten”. Photo caption: Ir. 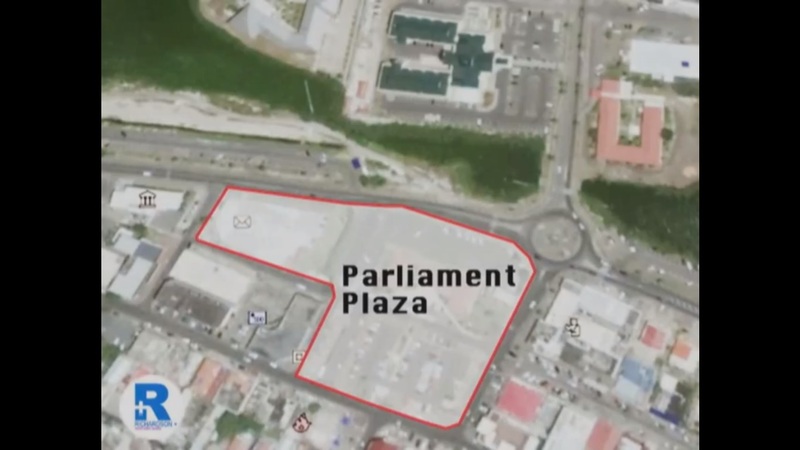 Damien Delano Richardson presented his concept proposal for the new Parliament Building with its accompanied facilities “The Parliament Plaza”, to members of the Ad Hoc Committee New Parliament Building (AHCNPB) during its meeting on Friday, January 25, 2019.